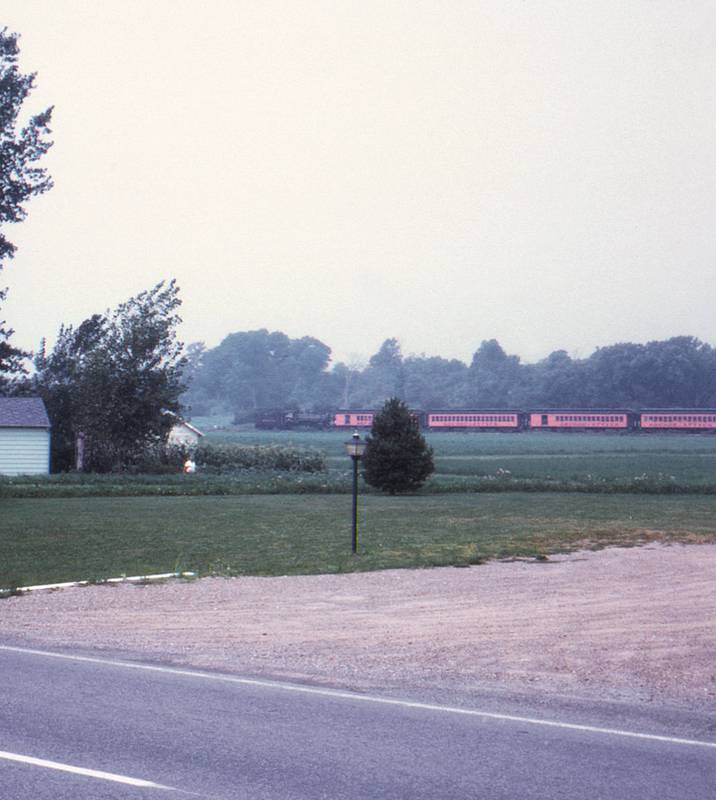 Back in 1970 it wasn't all that common to be out driving in the country and stumble across a steam-powered excursion train. The Arcade & Attica, diesel powered since 1941, bought its first steam locomotive (an ex-Boyne City Railraod 2-8-0) as a tourist attraction in 1962 and soon developed a thriving excursion business. This slide was probably taken from the parallel New York State Route 98. The combine and coaches are ex-Lackawanna.